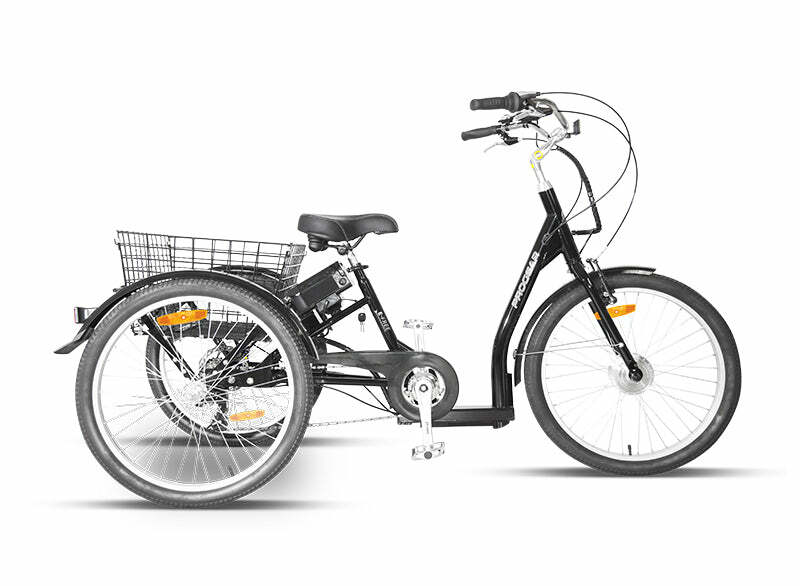 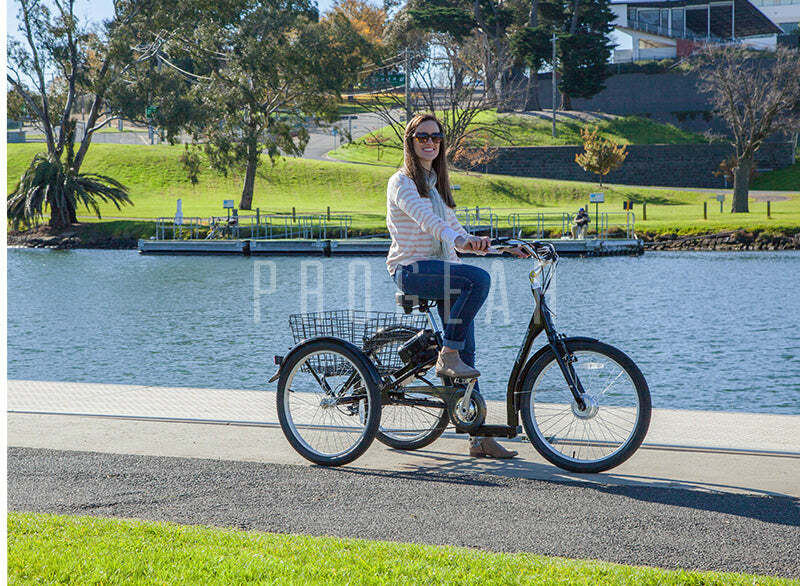 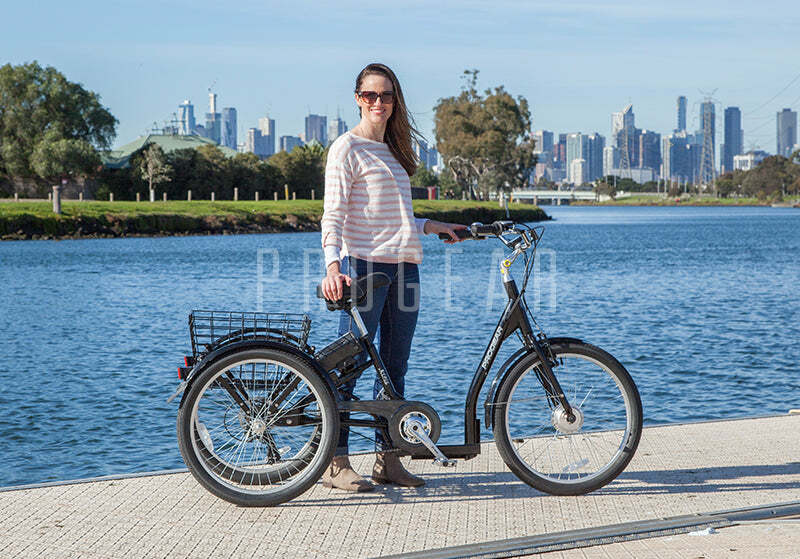 Our extremely popular Adult Tricycles now comes in an electric version to make your commute or cruise a lot easier. 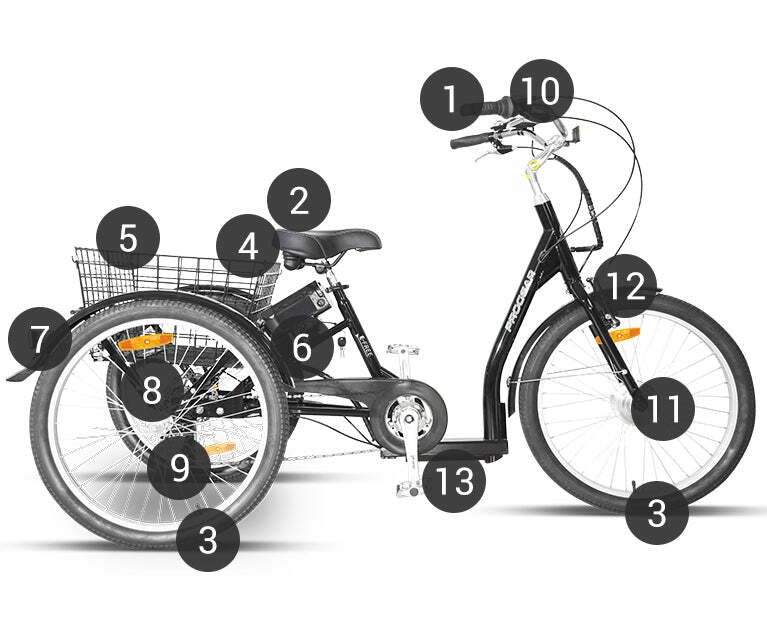 When it comes to bikes, there isn't a lot to offer in terms of comfort. 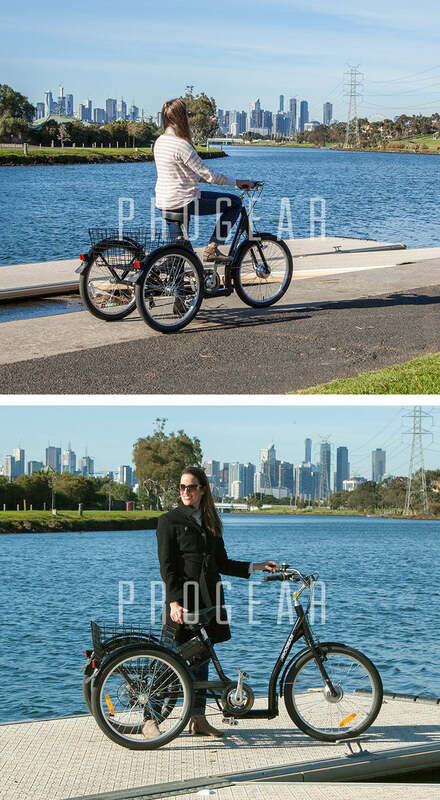 That all changes with our trikes, with comfort oriented components, ergonomics & a third wheel for balance. 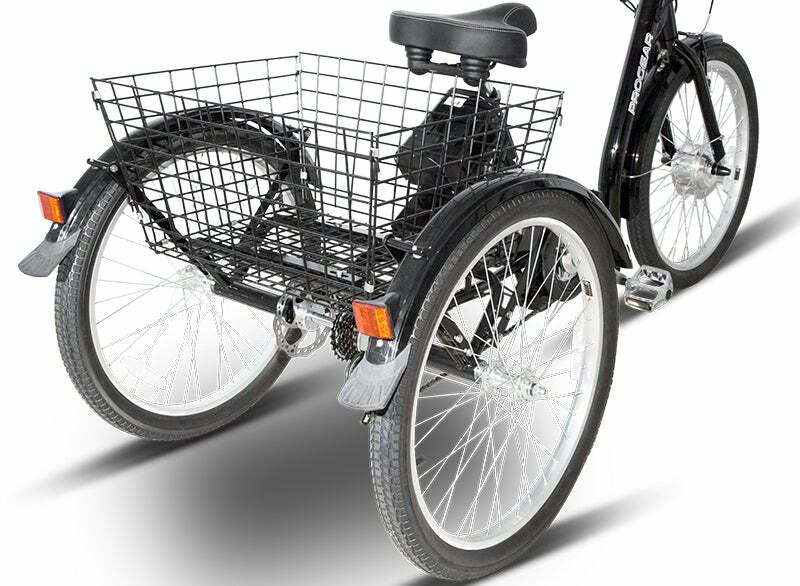 With a low-stepover frame, we've removed the struggle of climbing onto the tricycle frame. 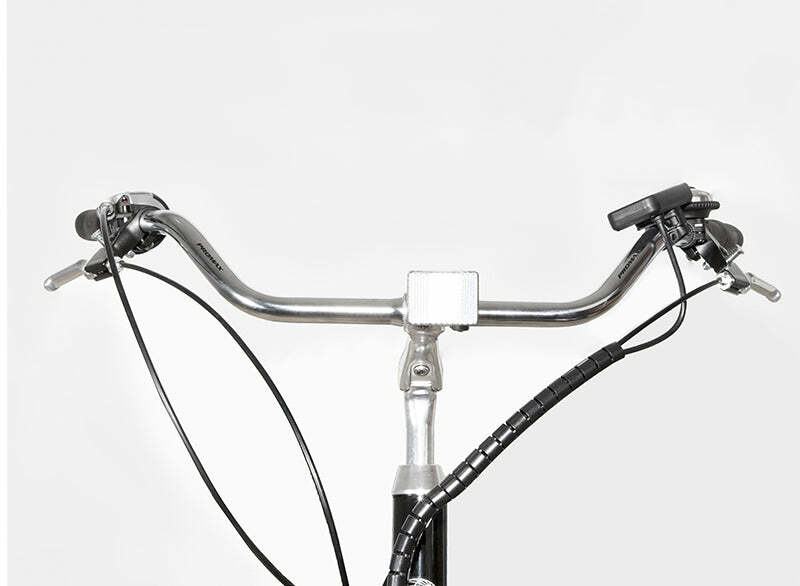 Easy mounting or dismount. 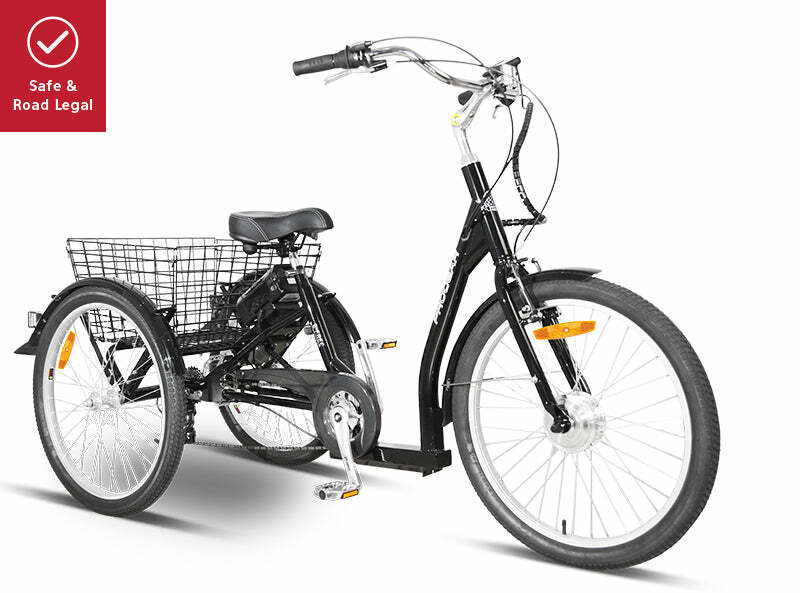 Tricycles are normally a lot heavier than normal bikes, meaning getting around and going for a cruise can be harder. 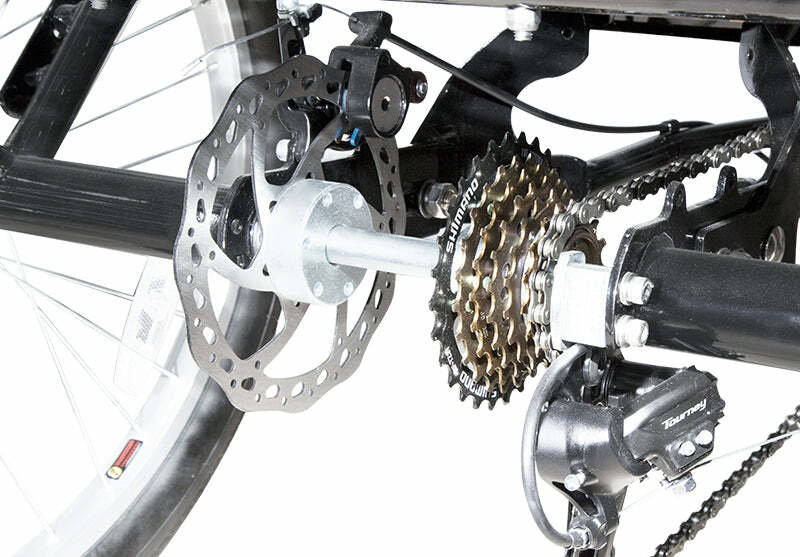 By using a front wheel hub drive motor, this eliminates most weight issues and uphill struggles with pedalling with a Pedal Assistance System (PAS) which will sense and amplify your pedalling effort by powering the front wheel to assist in speeds up to a maximum of 25km/h. 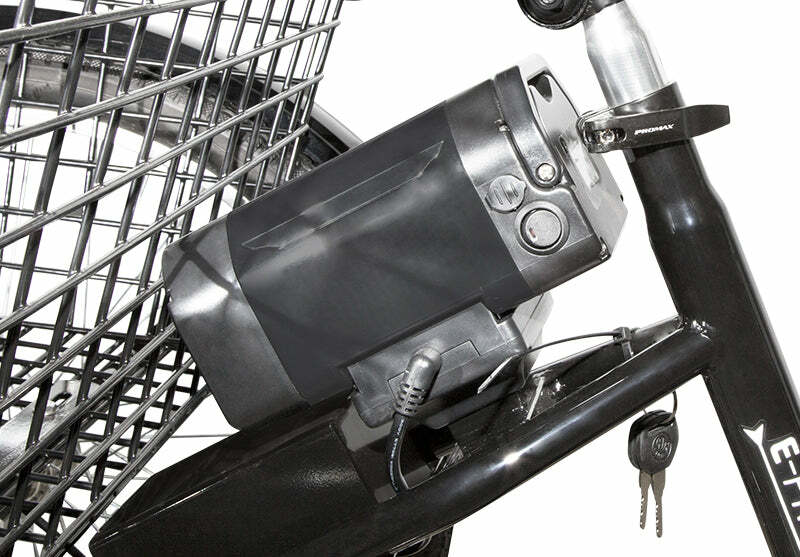 With an LCD display, you'll be able to see your speed, trip stats, current power assist and battery charge. 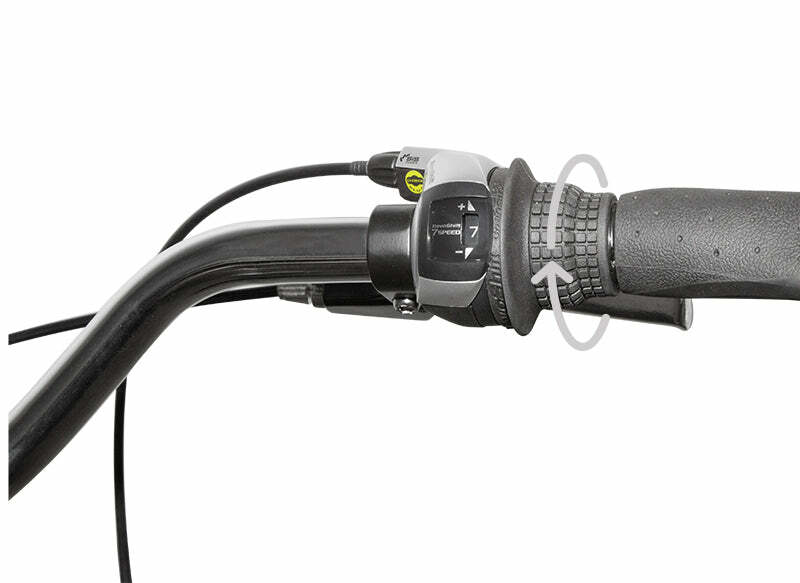 You'll be able to adjust from level 1 to 5 of power assist, with the higher number providing more motor assistance during pedalling. 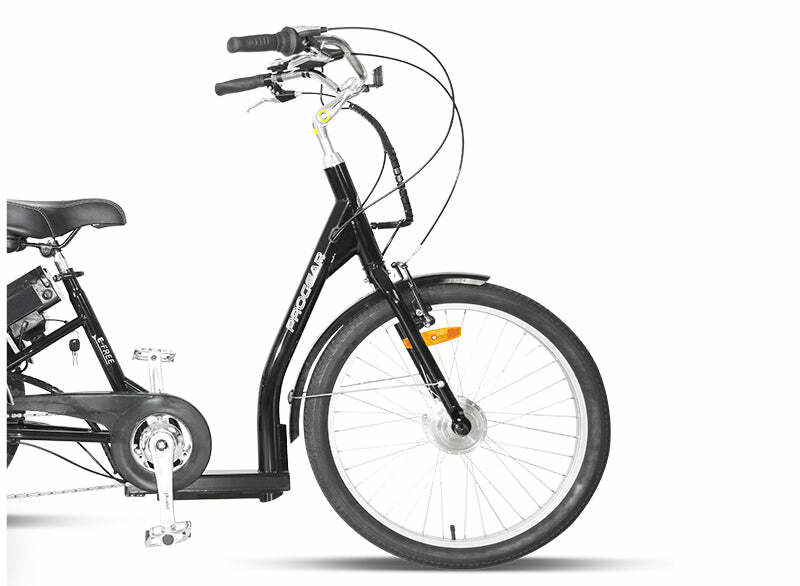 With a reliable 36v Lithium-Ion battery, you'll get excellent life and performance to keep you going and going. 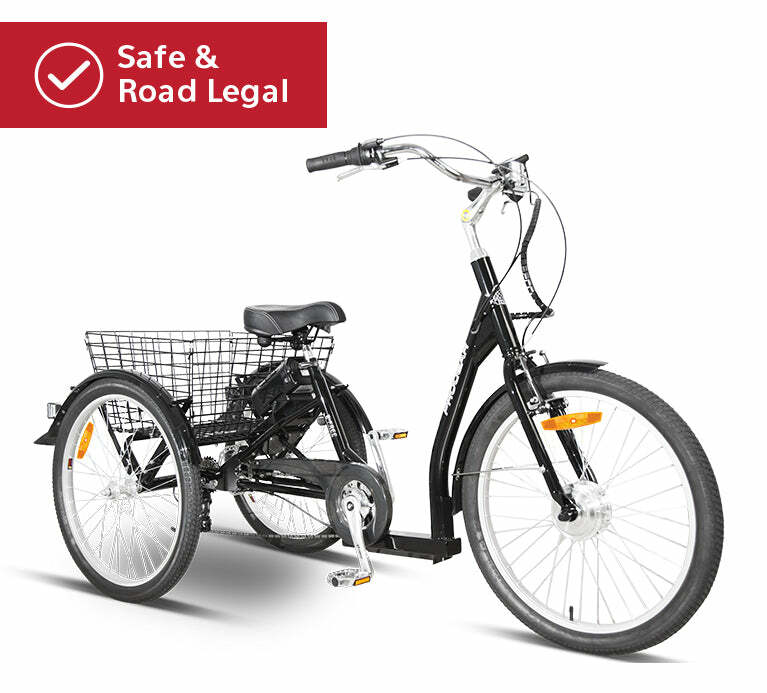 Safety tested to strict international standards. 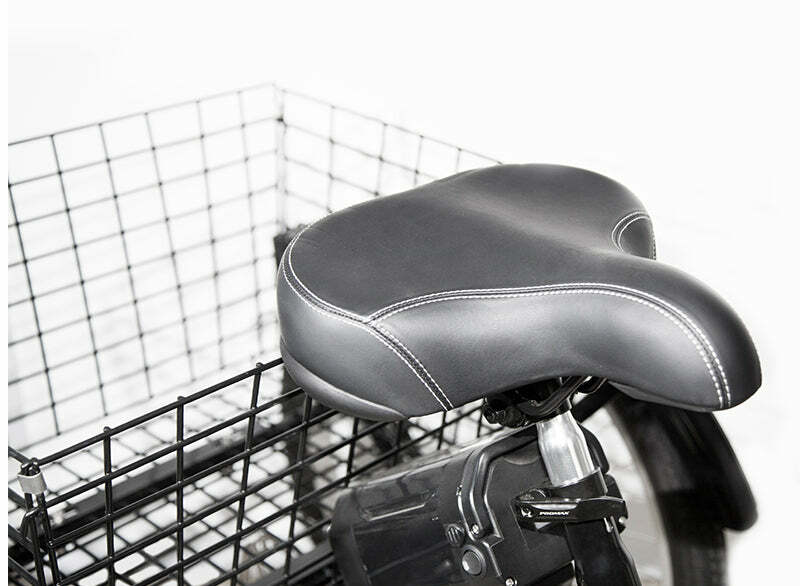 Neatly tucked in behind the seat for a low profile look. 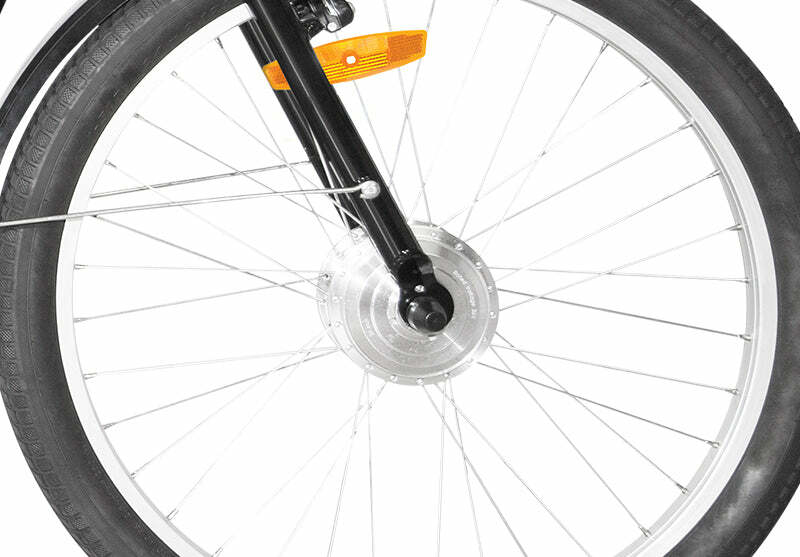 Braking is an essential component when going for a ride and is paramount for a safe and enjoyable journey whether it be from commuting or simply a scenic ride. 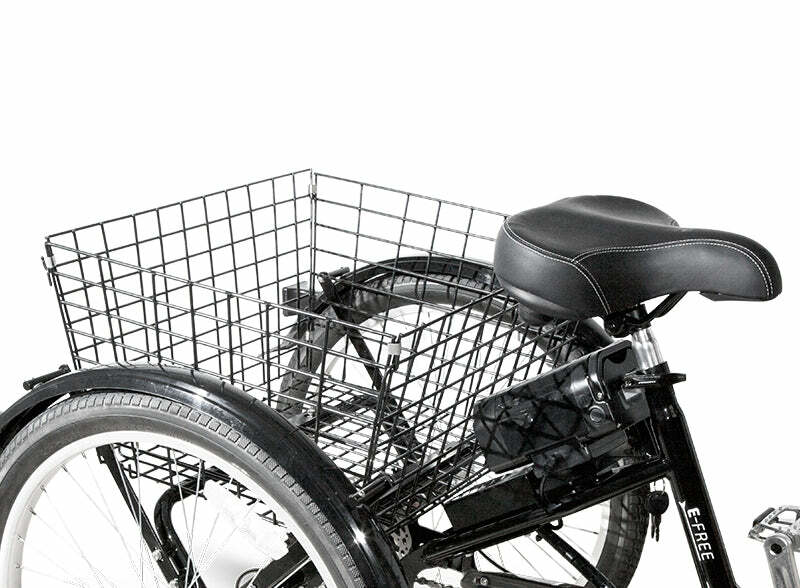 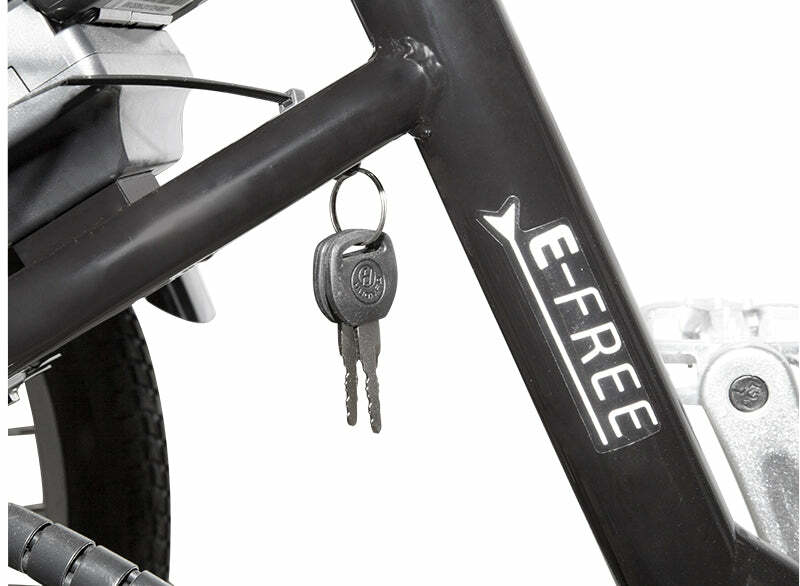 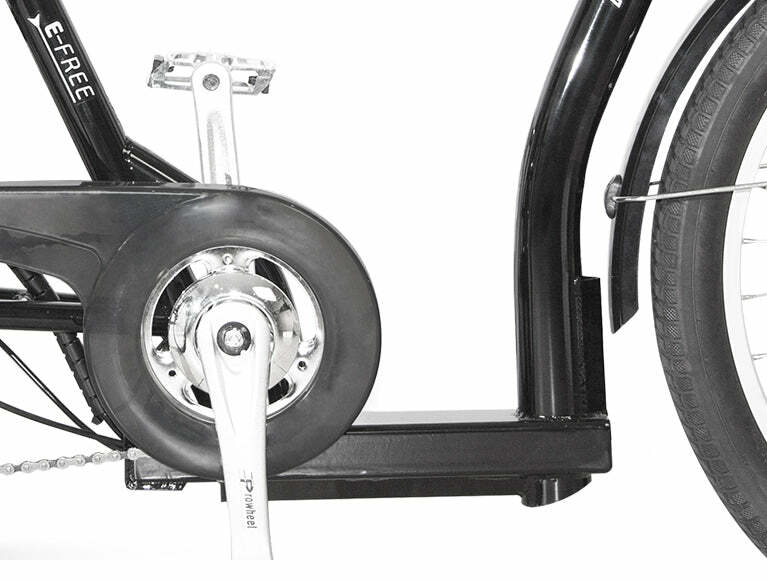 Our Trike comes with front alloy V-Brakes and reliable rear Disc Brakes. 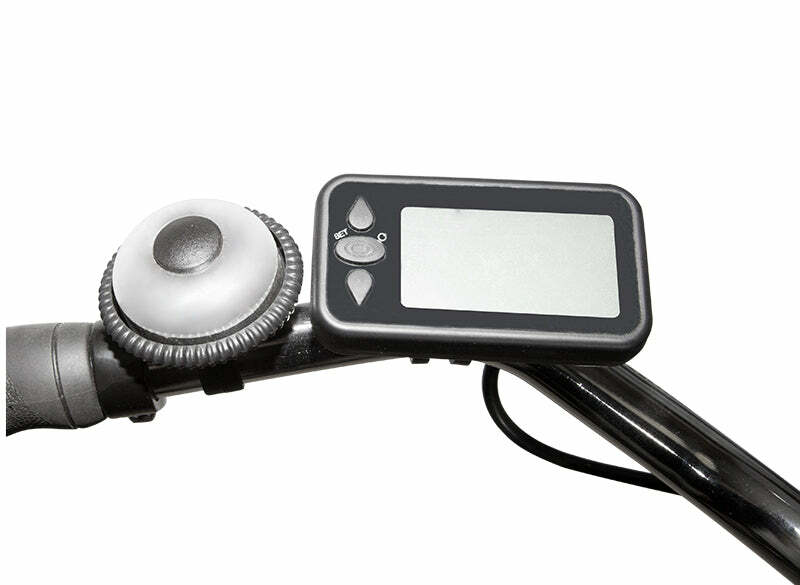 36V 9AH Li-ion Battery with Charge time of 4-6 Hours.